Fresh sprigs on a beautiful pine tree. Photo by Aureliy Movila via Free Images. Winter is a magical time of year for many Long Islanders, and one of the most time-honored ways for families to enjoy some holiday wonder together is by picking out a Christmas tree. Lucky for residents, there are many tree lots and farms all across the Island, providing residents a choice of pre-cut and “you-pick” pines to take home! When visiting a lot it is important to account for the freshness of trees—you don’t want those needles turning brown before Santa visits. 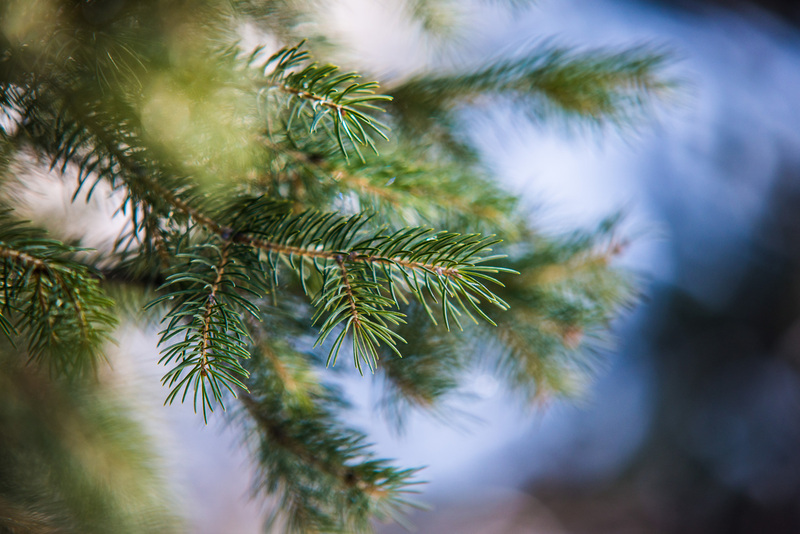 To test the health of a pine, gently grab hold of a branch and pull your hand back toward your body; green needles should slip through your fingers without falling to the ground. You can also lift the tree off the ground and tap it on a hard surface to make sure the needles don’t fall off—it’s alright if dead, brown needles come loose, but a healthy tree will keep hold of the green ones. Of course, freshness is essentially guaranteed if you choose to cut down your own tree instead of picking one up from a lot. If you’re not comfortable cutting the tree down yourself many farms will have staff members ready to lend a hand, otherwise you can grab a saw and start hacking away once you find the perfect fit. Before you chop one down, however, you should give it a few shakes to make sure insects or field mice haven’t made a home of the pine you’ll be putting in your own house. A vigorous shaking after you’ve cut the tree should be worth the effort as well. Once you get the tree home, you’ll want to make sure it gets plenty of water. Having a stand with a large reservoir will help, but you’ll want to check frequently to make sure your Christmas tree is staying hydrated. As a general rule of thumb, the thickness of the trunk’s diameter in inches has a 1:1 correlation to the number of quarts of water it can consume in a day. 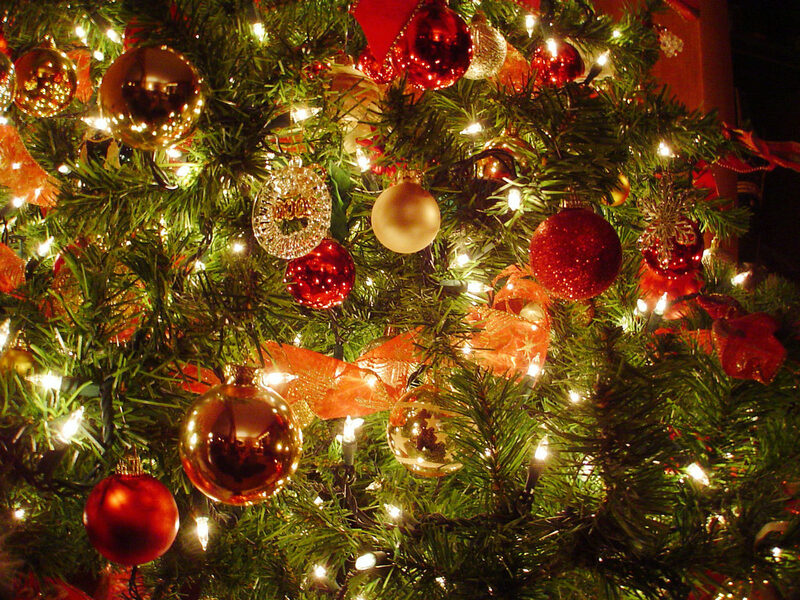 Unplugging the Christmas lights before you go to bed can also prevent the tree from drying out too early. It's also very important to be aware of fire and safety hazards. A Christmas tree filled up with baubles, ribbons and ornaments! Photo by Dave Dyet via Free Images. Please call the individual farms for hours of operation, types of trees, pricing and directions.